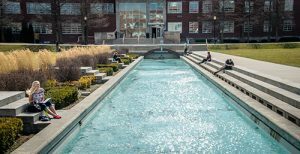 The University of Indianapolis has a variety of summer classes on offer for 2018, and it’s not just UIndy students who can benefit. Students can choose from more than 200 classes in a variety of subjects, including general education courses eligible for transferable credit. Summer term runs from May 15 to August 18, with options for face-to-face, online or hybrid classes. Most classes run for seven weeks over the Summer I and II sessions and cover a wide variety of disciplines, including English, history, biology, mathematical sciences and many more. The cost is $325 per credit hour. Browse summer course offerings here. Summer classes are an excellent opportunity for University of Indianapolis students who are looking to balance out their schedule or get caught up, or for visiting students home for the summer, said Mary Beth Bagg, Associate Provost for Academic Systems. Bagg pointed out the advantages for student-athletes with tight in-season schedules or students who are anticipating a particularly challenging semester. 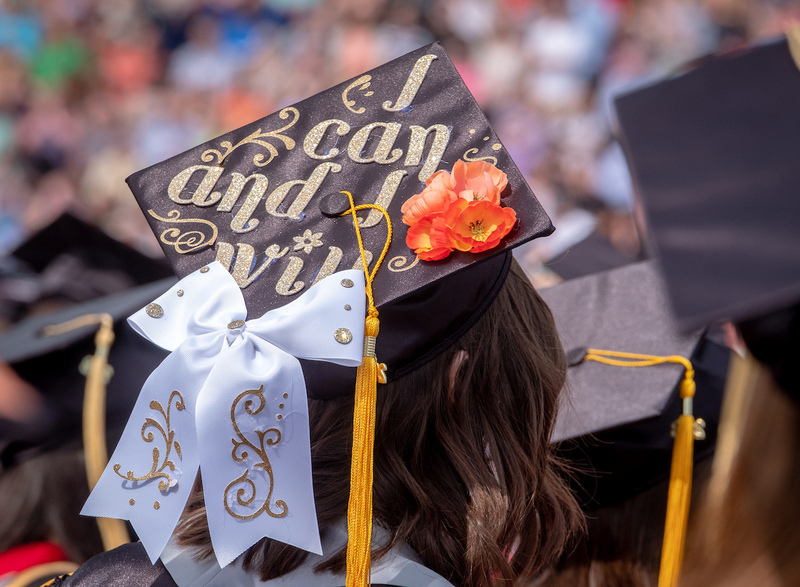 Students participating in crossover programs, which combine the first year of graduate coursework with the student’s final year as an undergraduate, can accelerate their time frame by enrolling in summer classes. “Students can budget time and credit hours in a way that considers the ebb and flow of their studies,” Bagg said. 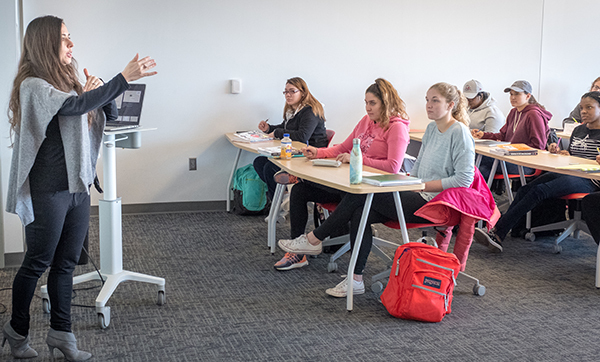 Ellen Miller, Associate Provost for Research & Graduate Programs, explained that more students are taking advantage of summer classes to create the opportunity for double majors or an extra minor. She said academic departments examine summer enrollment data to make informed decisions about which classes to offer, including upper level as well as introductory courses. “We’ve been looking at our constellation of offerings to identify key courses we should add. If a department knows there’s always a course with a waitlist, we might offer a section of that in the summer,” Miller said. Miller noted that an increasing number of external students are enrolling in University of Indianapolis summer classes, providing UIndy students with the chance to gain perspective from new classmates. With a streamlined process for external students to apply for admission, those students should also check with their university’s registrar to determine which credits are transferable. (See details here.) Current UIndy students do not need to apply for admission and may register for classes via MyUIndy. With more course sections available in an online format, there is even more flexibility. Whether a student is from Indiana or out of state, online classes are an option that can be accessed from any location. Miller observed that students from all over the country are participating in UIndy’s online programs during the summer. “For UIndy students who are going home for the summer, wherever home may be, they can live at home and work, and still take an online class,” Miller said. She noted that online classes tend to fill up quickly, as do on-the-ground science labs. Miller urged students to start thinking about their summer coursework and apply now before classes fill up. “It’s a great way to catch up or get ahead,” she said. For the third consecutive year, the School of Nursing achieved a 100-percent pass rate from the American Academy of Nurse Practitioners Certification Board for the Family Nurse Practitioner & Adult/Gerontological Nurse Practitioner programs. Students must pass the certification exam after completing their coursework in order to work as a nurse practitioner. Norma Hall, School of Nursing dean, noted that University of Indianapolis nurse practitioner students far exceeded the 2017 national pass rate of 81.6 percent. She credited several unique aspects of the University of Indianapolis School of Nursing programs that contribute to outstanding student performance. “It’s very much a hands-on program. Very little of the didactic content is done online, unlike many of our competitive programs. Students get a lot of interaction with faculty and there’s plenty of opportunity to learn and grow from faculty, who are all currently practicing nurse practitioners,” Hall said. Karen Iseminger, professor of nursing, explained that students routinely observe faculty during their clinical rounds. “It’s a nice balance between the scholarship of practice as well as pragmatic experiences,” Iseminger said. Karalyn Jacobs ’14 (MSN) is currently enrolled in the nurse practitioner doctoral program, and has recommended it to several co-workers. She specializes in treating high-risk ob-gyn patients. She praised the benefits of the in-class setting. “The ability to learn and grow with other students, bounce ideas off of other students, and build relationships with students and instructors is a more ideal learning method than online courses. Instructors are always accessible to help at any time during the program, which is why I chose to go back to UIndy for my DNP,” Jacobs said. Nearly 160 students were enrolled in University of Indianapolis nurse practitioner programs for the 2017-18 academic year. Hall said the popularity of the profession is reflected in job rankings like the 2018 U.S. News and World Report, which placed nurse practitioner fourth in its list of 100 best jobs. Nurse practitioner students participate in simulation experiences involving actors who play the role of patients. Students can assess, diagnose and prescribe treatment for a real person, the same way they would in clinical practice, Hall said. “The program is not only steeped in clinical practice with real people, but we also have an educational strategy to provide simulation experiences for our students,” said Iseminger, who noted that School of Nursing programs follow an interdisciplinary approach featuring collaboration with students in the College of Applied Behavioral Sciences. Current students in the nurse practitioner programs graduate with a master’s degree. Hall said by 2020, all nurse practitioner students at the University of Indianapolis will graduate with a doctorate as the School of Nursing aligns its programs with national guidelines for practice. Kendra Thomas during her PSY 245 lecture class. INDIANAPOLIS – When a child gets into trouble at school, a number of factors could be at play. 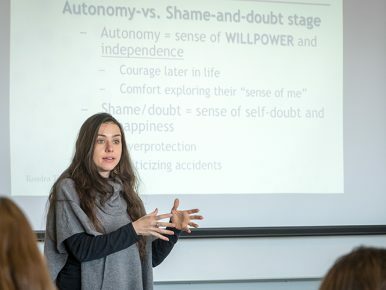 For educational psychologist Kendra Thomas, a student’s perception of fairness is a factor that could be the key to understanding some adolescent behavior. Thomas, assistant professor of psychology, focuses on social psychology theories such as Just World belief and systems justification theory. Her research, conducted in Brazil, Kenya and the United States, involves adolescents and how their beliefs about fairness can shape their worldview and school experience. The data from her research can have several applications, from school discipline policies and cultural differences to understanding how different communities perceive the role of law enforcement. “If I anticipate a level of fairness, I might be more motivated to work hard, but I also might be more motivated to blame the victim because I assume they must’ve received what they deserved,” Thomas explained. Systems justification theory supports the idea that people tend to justify the systems they’re living in, and the more people are encompassed in the system, the more they might feel the need to justify it. “I’m really interested with people’s interpretation of fairness and how that interpretation could drive their behavior,” said Thomas, who recently published research in Social Justice Research and Psychological Reports. Thomas’ current research involves middle school students, their assumptions about fairness and their well-being. Her goal is not about determining if those rules are fair, but rather how students’ perceptions of fairness affects their behavior and well-being. “The student who says that the rules aren’t fair is also more likely to report disrespecting the teacher, or to report being bullied or to say they don’t do their homework. Those are the kinds of relationships I look for in the data,” Thomas explained. Her findings can help educators and parents address behavioral problems and provide a window into how students’ worldviews are being shaped through the context they grow up in. “We could sit down with a group of teachers and parents and say, ‘I know that you think the rules are fair, but the student does not. So how do we communicate it so that not only is it fair but the student feels heard? That perception is going to influence their lived experience and what rules they choose to buy into and what rules they reject out of rebellion,” Thomas said. Learn more about UIndy’s psychology programs here. During research conducted in Brazil and Kenya, Thomas found that students who perceive their school and community as fair also were more likely to buy into the school rules. The University’s psychology program offers undergraduate students a research practicum featuring one-on-one sessions with faculty throughout the semester. Thomas has worked with several students on this basis, including Karli LaGrotte ’18, who presented her research, “Belief in a Just World Among Brazilian Adolescents: Differences Across Age, Race and Religion,” during Scholar’s Day in April 2017. Courtney Shepherd ’18 also worked with Thomas on undergraduate research. Shepherd plans to pursue a master’s degree in gerontology and to work with the elderly population. “Dr. Thomas taught me each step of the research process and allowed me to be actively involved in data processing. She provided me with constructive criticism so I could be better in the research process,” said Shepherd. 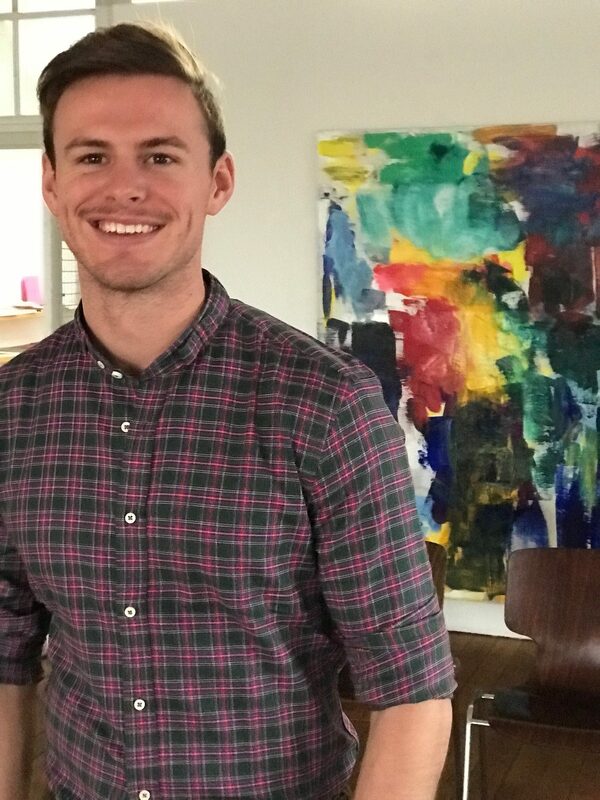 Thomas has also advised graduate and doctoral students, including Erin Hoolihan ’20 (PsyD, clinical psychology). Hoolihan’s dissertation investigates the potential socioeconomic and racial differences that exist in the connection between perceptions of justice, social capital and well-being. “Dr. Thomas has always made my research a priority, and it is a wonderful experience to have an advisor who cares as much about my research as I do,” Hoolihan said. Two University of Indianapolis students will present research at the 2018 Humanities Education and Research Association (HERA) Conference in Chicago in March. Rachael Walter ’21 (exploratory) and David Kurz ’18 (sport management) will deliver the first interdisciplinary student presentation by University undergraduates at the conference. “Multilingualism and ADHD – A Humanistic Approach of Investigation” explores the question of whether or not bilingualism or multilingualism offers any benefit for people diagnosed with ADHD. Gerburg Garmann, dean of the University’s interdisciplinary studies program, noted the significance of the achievement as the University cultivates undergraduate research opportunities. “After having UIndy faculty at the HERA conference in the past, it’s a great step forward to have UIndy undergraduates present there for the first time,” said Garmann, who also will attend the conference. “It was obviously a great honor for Rachael, Dr. Garmann and me to represent UIndy. In addition, it puts us into a pressure position to perform at our best,” Kurz said. Walter said she is excited for the opportunity to participate in the conference and to study research that can potentially change people’s lives. She also credits Garmann with encouraging her and providing opportunities to explore research interests. 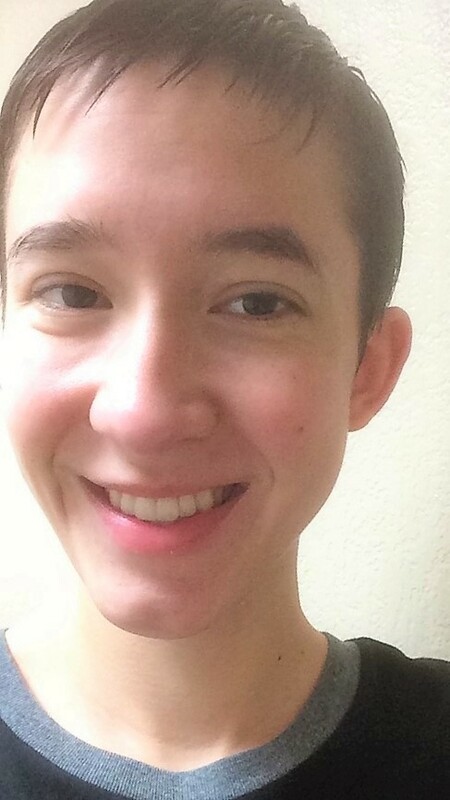 “Interdisciplinary studies are really important because you learn to make connections and everything that you do in life can be done more efficiently,” Walter said. Both Walter and Kurz are enrolled in Garmann’s multilingual class, where they became interested in the cognitive benefits of multilingualism. “It not only works against symptoms of Alzheimer’s, but also improves memory performance and attentional control. Individuals who grow up speaking or learn two or more languages have a longer attention span, better focus and different ways on approaching problems,” Kurz said. Both Kurz and Walter appreciate the perspective that interdisciplinary studies offers. “It is important to see things in a holistic way and to be able to combine subjects. It not only gives more information but also different perspectives about a topic. This can be used in everyday life situations and in the workplace, because it makes it easier to determine decisions and helps with judgment,” Kurz said. Learn more about interdisciplinary studies at the University of Indianapolis here. Two seniors from the Ron & Laura Strain Honors College will pursue medical degrees at the Indiana University School of Medicine in fall 2018. Lauren Bryant ’18 (biology and psychology) plans to focus on child and adolescent psychiatry, and Casey Wendorff ’18 (biology major, chemistry minor, pre-med concentration) will concentrate on sports medicine, specializing in the knee, foot and ankle. Bryant and Wendorff recently presented research posters at the National Collegiate Honors Council conference in Atlanta, Georgia. Both students point to unique research opportunities gained by participating in Honors College that set the stage for their success. “Honors College challenges you and sets you apart from other students because it shows that you are not afraid to push yourself to the next level,” Wendorff said. “The competition is fierce for those coveted post-graduate positions at medical, vet, and graduate schools,” said Kevin Gribbins, assistant professor of biology and Honors project advisor to both students. Gribbins said UIndy’s emphasis on pre-professional training and research launched Bryant and Wendorff to the top of the list at the institutions they applied to. Bryant appreciated Gribbins’ focus on showing students how to use their academic research as leverage during the medical school application process. “He talked to me about how I can market that wherever I choose to go,” she said. Lauren Bryant and Casey Wendorff took part in a study abroad trip to Ecuador and the Galapagos Islands with Profs. Gribbins and Stemke. As the number of student applications rise for medical and graduate schools, Gribbins said institutions look for experiences that set applicants apart. 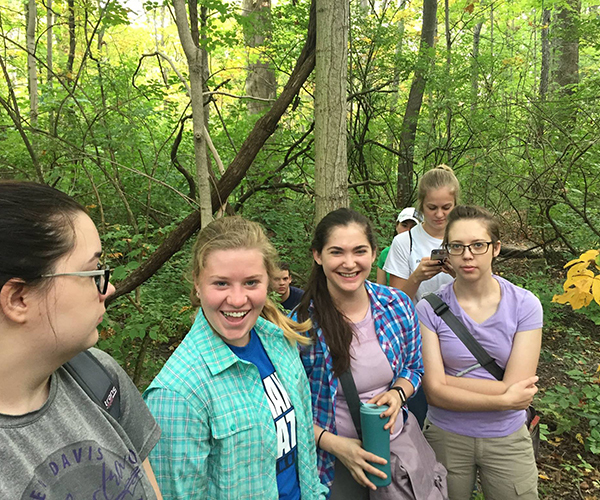 UIndy’s Department of Biology, in tandem with Honors College, provides a way for students like Bryant and Wendorff to distinguish themselves through a graduate school-caliber research program for undergraduates. “Lauren and Casey are great examples of that work. They not only have the grades and the MCAT scores but they have research credentials and peer-reviewed publications that make them stand out among other applicants for medical school,” Gribbins said. Both students highlighted the opportunities they had at UIndy to develop and highlight the skills they will apply during their medical careers. Bryant appreciates the atmosphere of healthy competition that offers students the chance to excel. “All of the professors are very much into showcasing all of our researchers,” Bryant said. Personalized mentorship formed a key aspect of the UIndy experience for Bryant and Wendorff. In addition to research opportunities and academic support throughout their undergraduate studies, those relationships led to letters of recommendation crucial to the application process. “Dr. Gribbins was very instrumental in helping me achieve my goals as he worked with me during research,” said Wendorff, who received an athletic scholarship during his senior year for cross country and track. “My coaches, Kathy Casey and Brad Robinson, both instilled a hard work ethic in me,” he added. “When I hit a snag, I always had a professor or advisor, someone reaching out their hand. I didn’t even have to go find them. Someone was already saying if you need me, here’s how to find me,” Bryant said. Doug Stemke, associate professor of biology and Bryant’s pre-med advisor, was another mentor. “Lauren is the type of person you want your physician to be. She is bright, always well-prepared, friendly, communicates well and leaves no stone unturned. She’s always improving herself,” Stemke said. Just as students benefit from UIndy’s teacher-student ratio, faculty take pride in student accomplishments. “The greatest part for me is the opportunity to work with such amazing students in an atmosphere where we get to know our students as more than students, and we can advise them more closely to make sure they reach their very best as an undergraduate and that they have every opportunity to succeed once they leave UIndy. I think that is what we do very well in the biology department at UIndy!” Gribbins said. 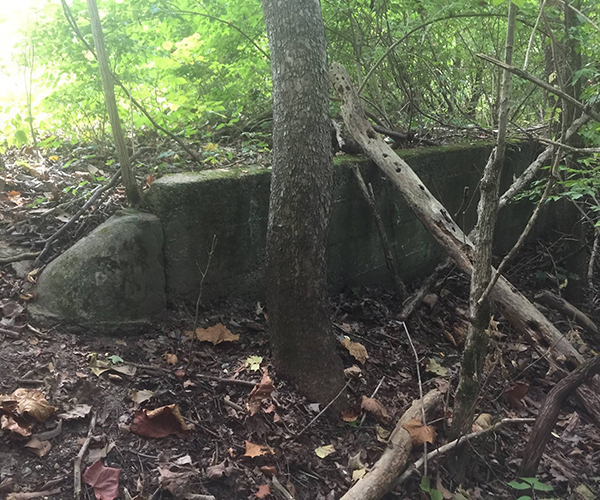 The project is called “The Materiality of Ghosts” and represents the fusion of archaeology and experience design to engage in a variety of projects, including a survey of the former location of the legendary House of Blue Lights at Skiles Test Park in Indianapolis. 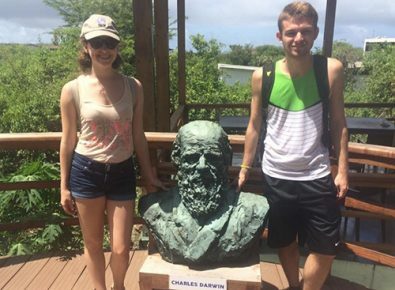 Christopher Moore, associate professor and chair of anthropology, and Samantha Meigs, associate professor of history and director of the University’s Experience Design program, are leading the project, which was made possible through an InQuery Grant from the University of Indianapolis. “Our goal is to better understand the ways in which objects and places get incorporated into or provide the basis for legends and stories of the paranormal. The Skiles Test investigations are just one part of this broader investigation,” said Moore. 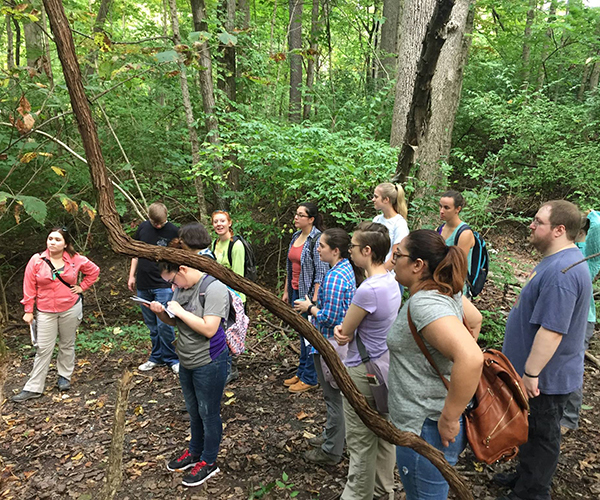 Students will study stories and data for recurring patterns, origins and future evolution, as well as surveys of real-life locations to discover, collect and archive artifacts, Meigs said. 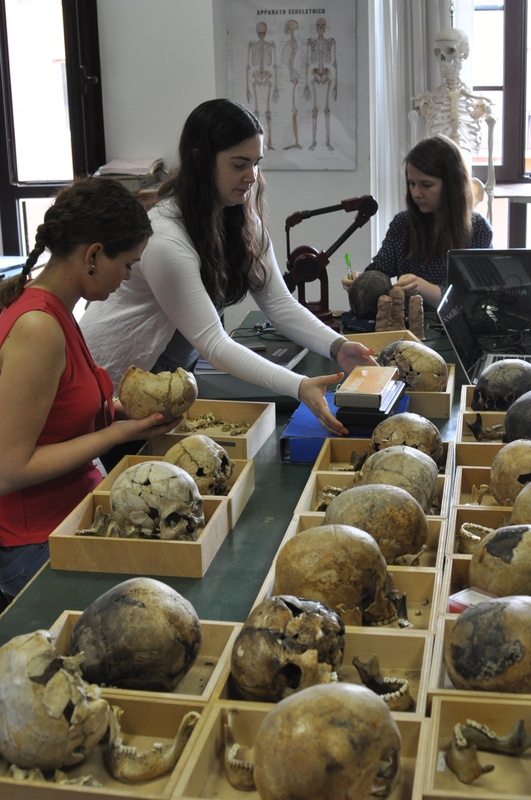 The project aims to show students from various disciplines how their areas of study can help connect the past to the present – and in the process, become more relevant to the public. The popularity of history-themed topics on television – ranging from family heirlooms to haunted house history – speaks to the fascination with personal history and local folklore. Investigators hope to overcome the stereotype of history as boring or irrelevant and demonstrate how academics can capitalize on existing interests. 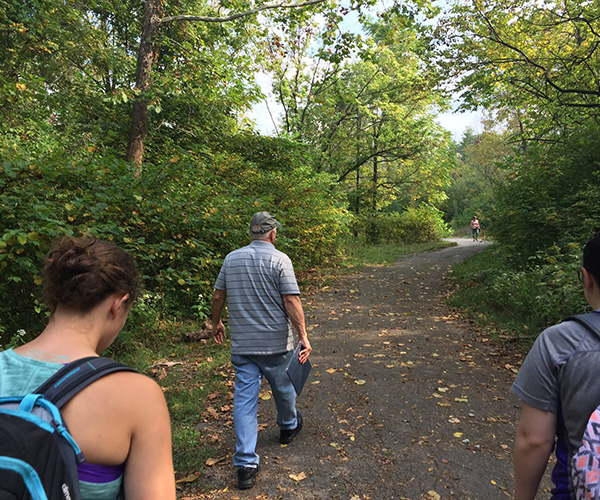 In September, University of Indianapolis students completed an archaeological survey of a portion of Skiles Test Park. They found artifacts and evidence, including the pet cemetery and the ruins of several buildings. The ultimate goal is to create a database of haunted objects and tools used to engage ghosts and spirits. That’s just the beginning. The group also will visit with spiritualists, survey popular ghost-hunting television shows, participate in a ghost hunt and engage the public in conversations about so-called haunted sites to better understand how the past comes alive in the present. 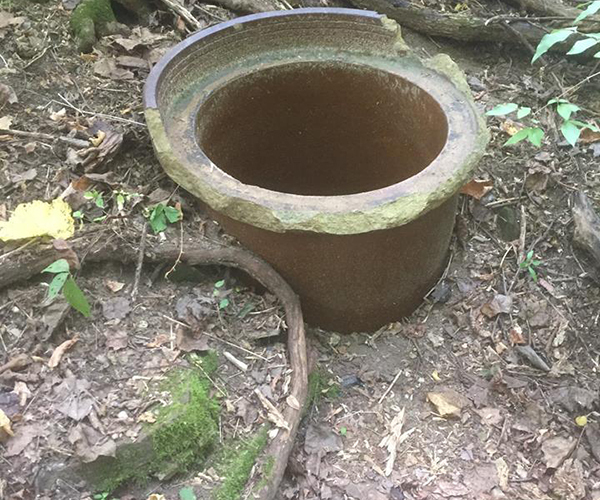 The final results of the research will be published as part of the University of Indianapolis Material Culture Lab’s Technical Reports series and will be submitted to the Indiana DNR Division of Historic Preservation and Archaeology for review. 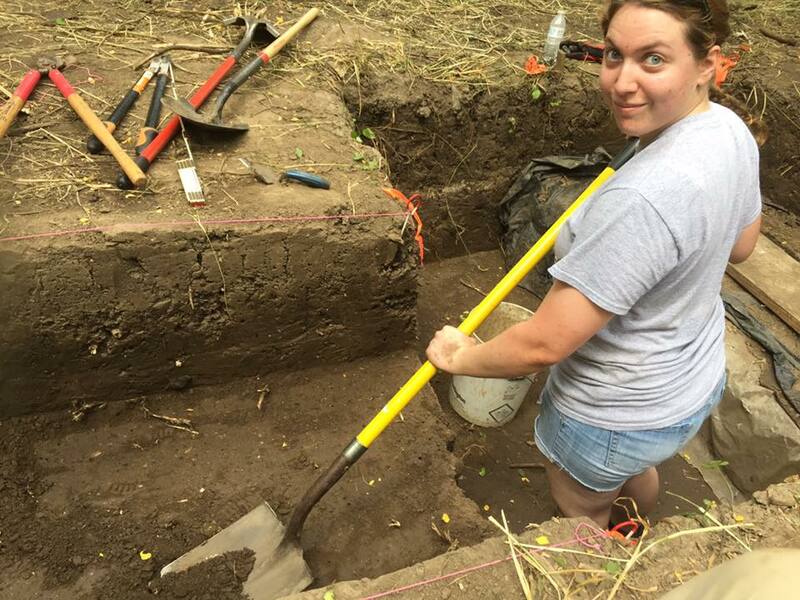 From the Texas borderlands to ancient Rome to back home in Indiana, University of Indianapolis students continue to unearth history, gain valuable field experience and make a global impact. 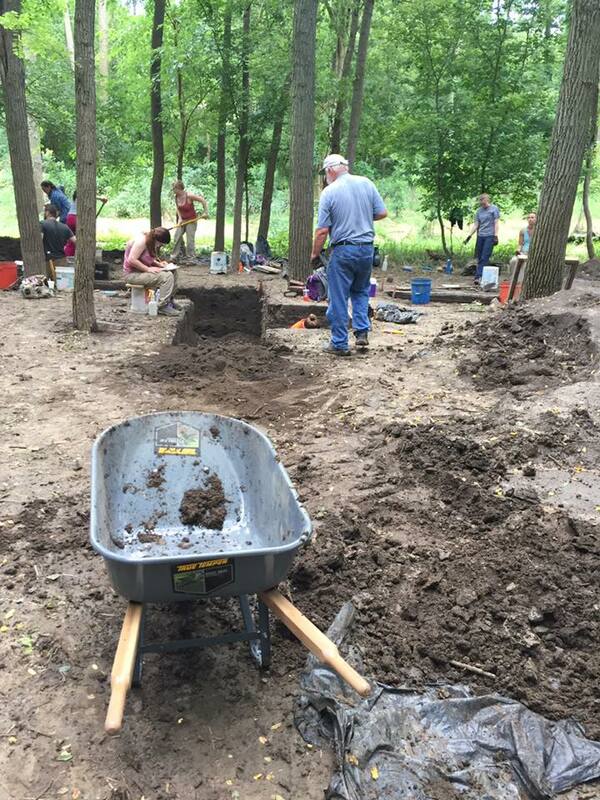 Students participating in the University’s archaeological field school spent the summer excavating the Baum’s Landing site near Delphi in Carroll County, Ind. The group, working under the guidance of Dr. Christopher Moore, associate professor and chair of anthropology, studied early pioneer life in Indiana. The field school immerses students in archaeology 40+ hours a week with a focus on excavation techniques as well as teamwork, critical thinking, community outreach and project design. 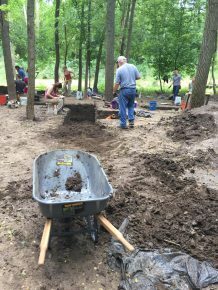 The initiative also connects the community with Indiana history by opening the dig to residents, including local middle school students. 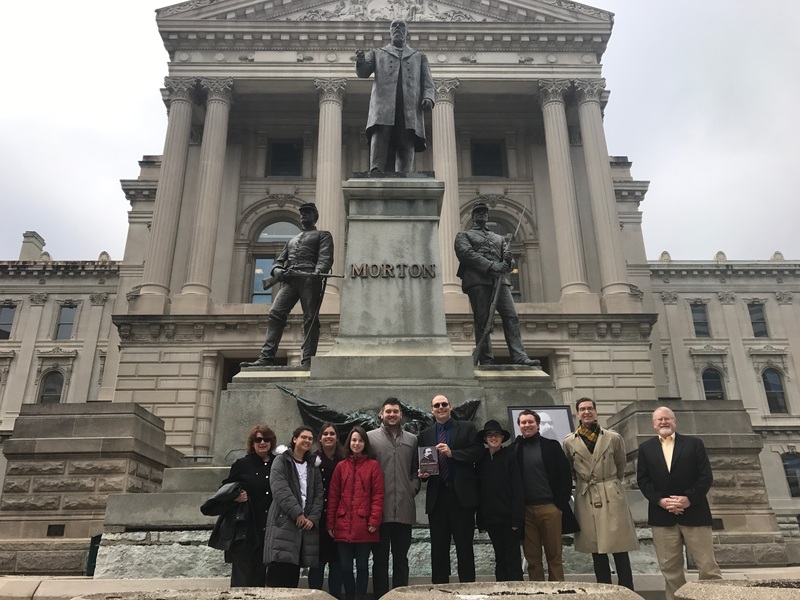 “We hope to develop a better understanding of how the Baums (who lived on the site from approximately 1820 to 1850) and their contemporaries established a new community identity as Hoosiers,” Moore said. A Carroll County native, Moore founded the Wildcat Archaeological Research Project (WARP) in 2009 to investigate archaeology in Carroll County and surrounding areas, including Baum’s Landing. 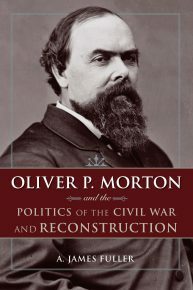 Among the goals for the excavation, Moore said, is learning details about the daily life, status and wealth of the pioneer family. For the students, the experience provides intellectual and professional growth opportunities, including the development of leadership and supervision skills on everything from paperwork to excavation. “This year’s field crew is exceptional. Over the last eight weeks, all of them have grown considerably, both in their knowledge and skills of archaeology and in their confidence,” Moore said. 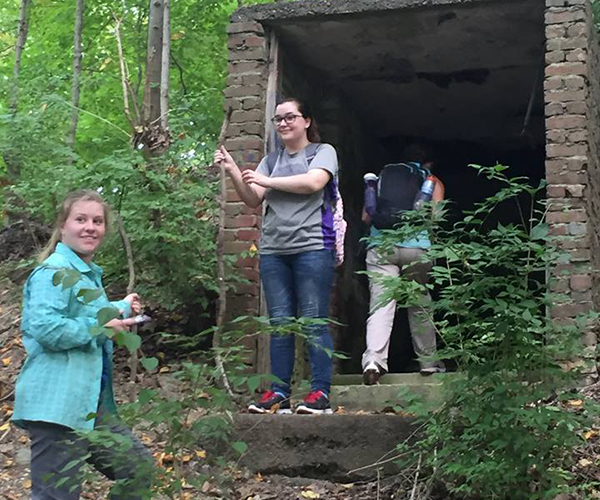 UIndy students can take part in numerous volunteer archaeological lab and field experiences starting in their freshman year, and applied, hands-on training is integrated into many archeology and anthropology courses. 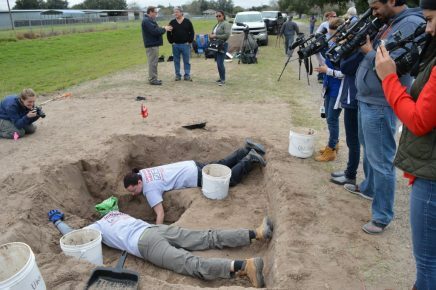 A public field archaeology event will be held at Skiles Test park in Indianapolis Sept. 16-17 and an archaeological field school is planned for next summer on Sapelo Island, Georgia. “Students can get exposed to the challenges of real-world situations alongside the ideal scenarios that they read about in textbooks. This means that most students have some basic understanding of and practical skills in archaeological fieldwork before they start field school,” Moore added. Along with that real-life experience comes the opportunity to witness the community impact. Krista Latham, associate professor of biology and anthropology, leads a student forensic team comprised of biology majors on projects including the identification of individuals who died in the Texas borderlands, as well as assisting law enforcement during local crime scene investigations. Latham’s work has gained national attention to the humanitarian crisis happening on the U.S. southern border. (Read more about the project here.) Latham and her team work to uncover remains from unmarked grave sites and identify the bodies of those who have died while making the journey to the United States. This year, four graduate students traveled to Texas with Latham to participate in the project, marking the sixth trip. Graduate student Leann Rizor ’18 (human biology with focus in forensic anthropology) said the fieldwork has helped her to gain an appreciation of the magnitude of the crisis. “I learned so much regarding the intricacies of the politics surrounding the crisis, and I have used this knowledge to talk about the crisis in a very informed way and to spread awareness,” said Rizor, who earned her bachelor’s degree in anthropology from the University in 2014. 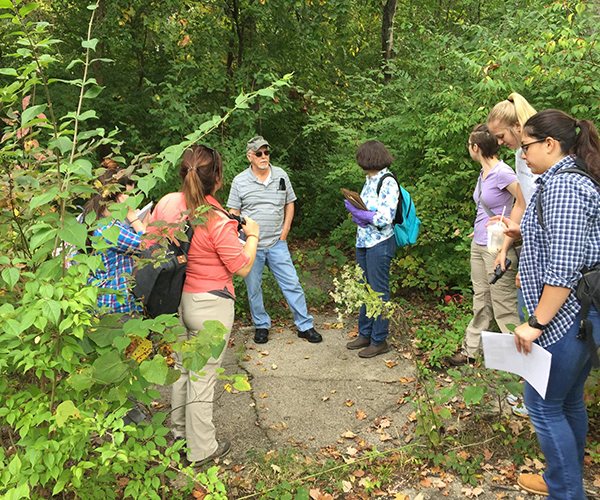 Research opportunities for UIndy students extend to the international arena. Chris Schmidt, professor of anthropology, worked with two UIndy graduate students in Italy this summer on his study of Herculaneum, an ancient Roman city destroyed when Mt. Vesuvius erupted in the year A.D. 79. Schmidt has been conducting research for several years at the site, focusing on what inhabitants ate, their ancestry and the way they died. Schmidt was honored earlier this year with the 2017 Indiana Archaeology Award, along with Johnson County Commissioner Brian Baird and Johnson County attorney Kathleen Hash, for leading the Middle of the Road Grave project, which involved several UIndy students – including some graduate alumni who returned to participate. The goal of the project was to record, recover and reinter the seven individuals who were buried in the median of County Road 400 South. The site’s role in local folklore and regional history generated strong media interest, creating additional pressure on the excavation team. Nancy Kerlin Barnett and six others were buried at the site, which bears a historic marker commemorating their lives. While the topic of dealing with human remains is a sensitive one, Schmidt said by the end of the project, researchers had gained the respect of local residents. 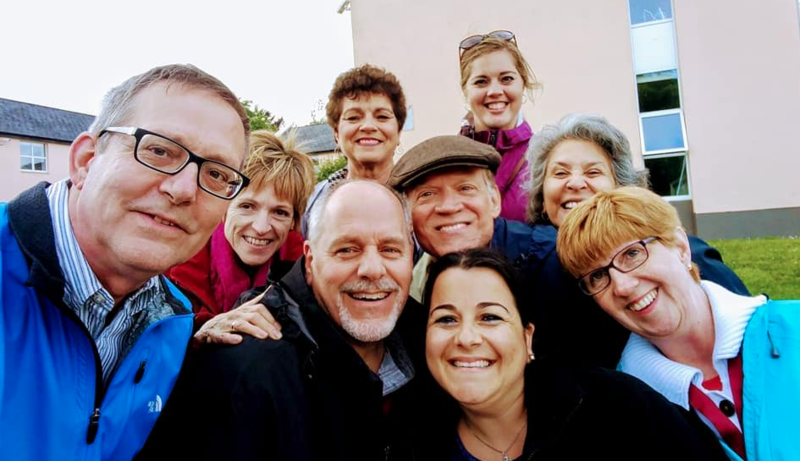 Transforming communities through service learning was the focus of this year’s 7th International Symposium on Service Learning, held at the National University of Ireland in Galway. The University of Indianapolis co-hosted the event with NUI Galway and Stellenbosch University (South Africa). UIndy had the largest faculty delegation attending the symposium, and several faculty members presented research on the impact of service learning and community engagement. Marianna Foulkrod, director of Service Learning & Community Engagement, served as co-chair. 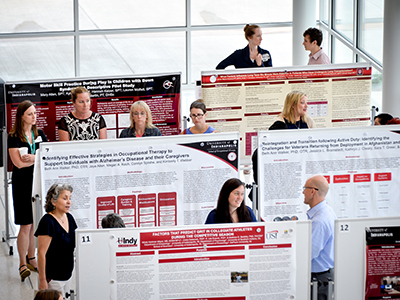 The University of Indianapolis held the first annual Health Pavilion Scholarship Day in May to showcase research conducted by students and faculty in the health sciences disciplines. Held in tandem with the Community Health Network Research Symposium on campus, the events highlighted the growing partnership between the University of Indianapolis and Community Health Network. More than 20 faculty and students showcased their research experiences at the Scholarship Day event held in the morning, which was hosted by all of the disciplines within the Health Pavilion. In the afternoon, keynote speakers Chad Priest and Ileana Ponce-Gonzalez of Community Health Network addressed issues surrounding the health care professions at the Community Health Network Research Symposium.